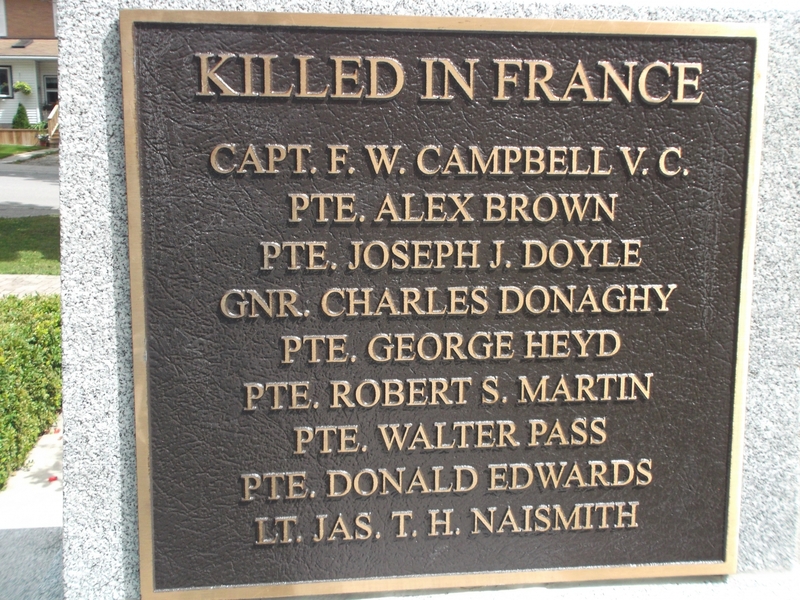 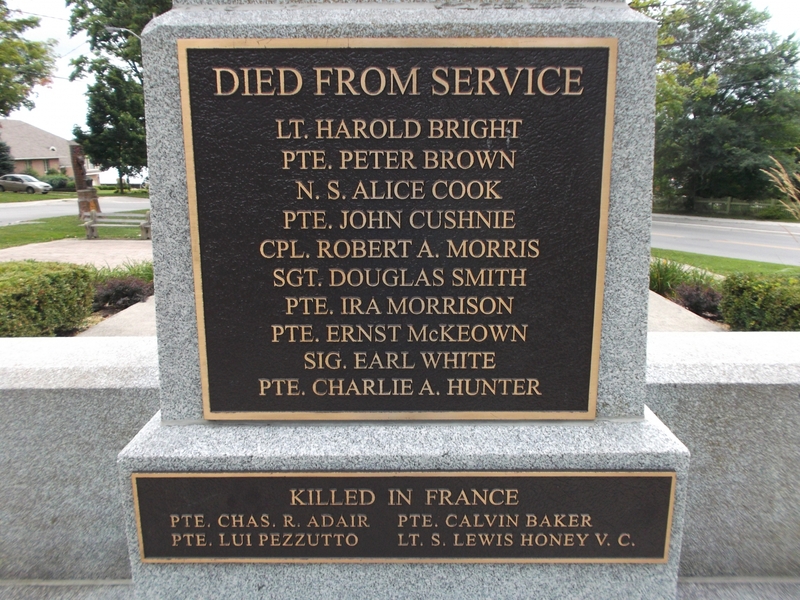 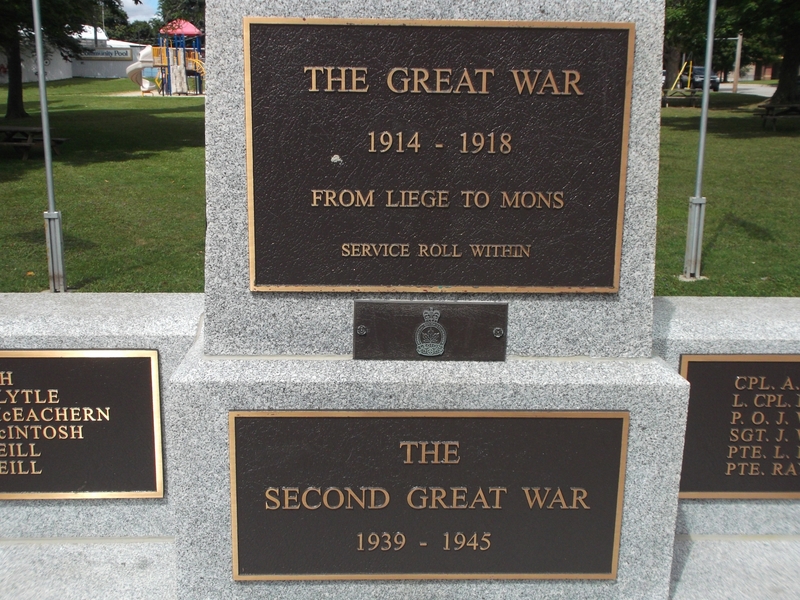 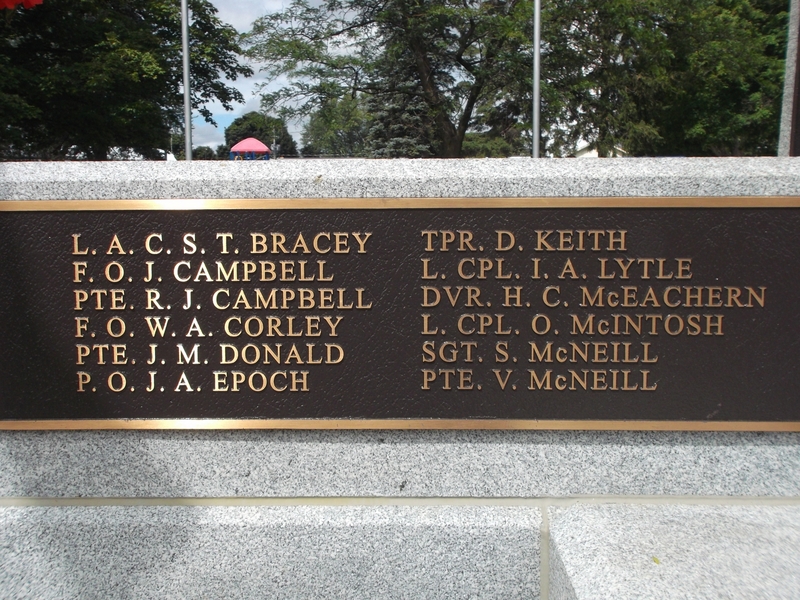 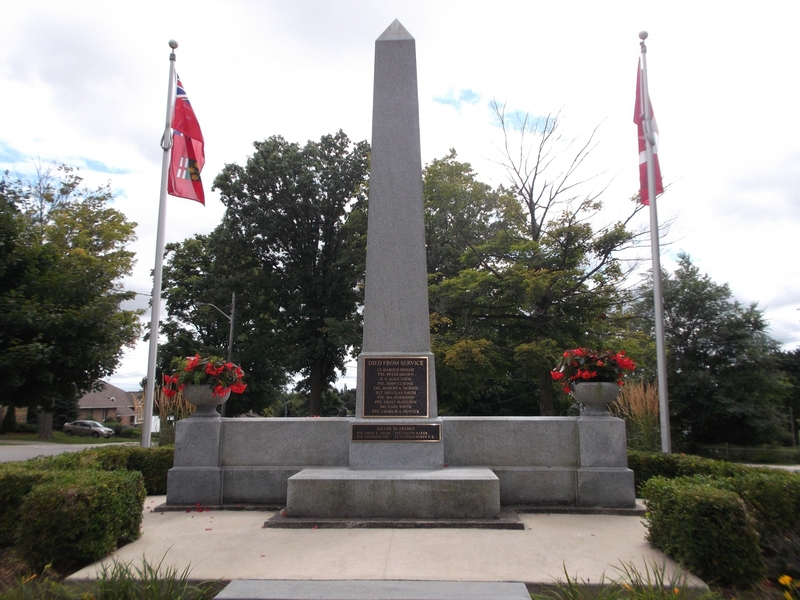 A cenotaph dedicated to those veterans who lived in Mount Forest and the surrounding areas and who served and died for their country in World War I and World War II. 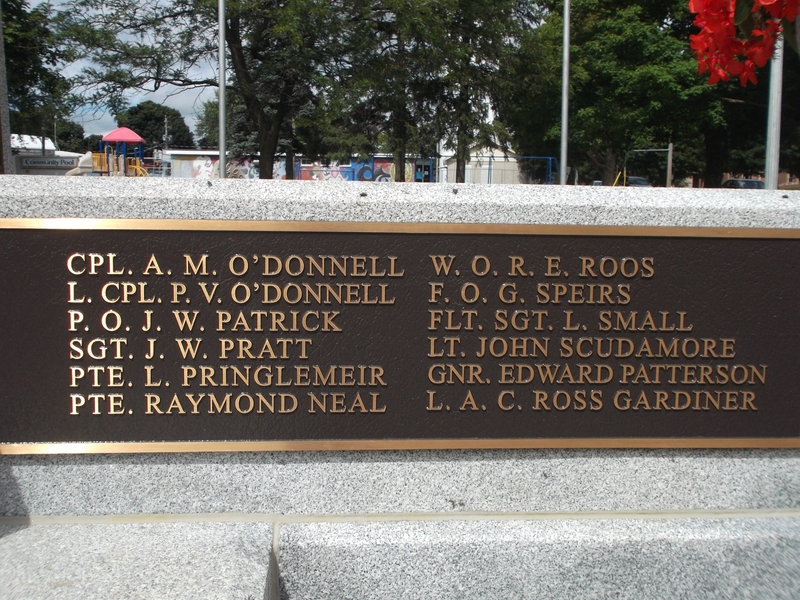 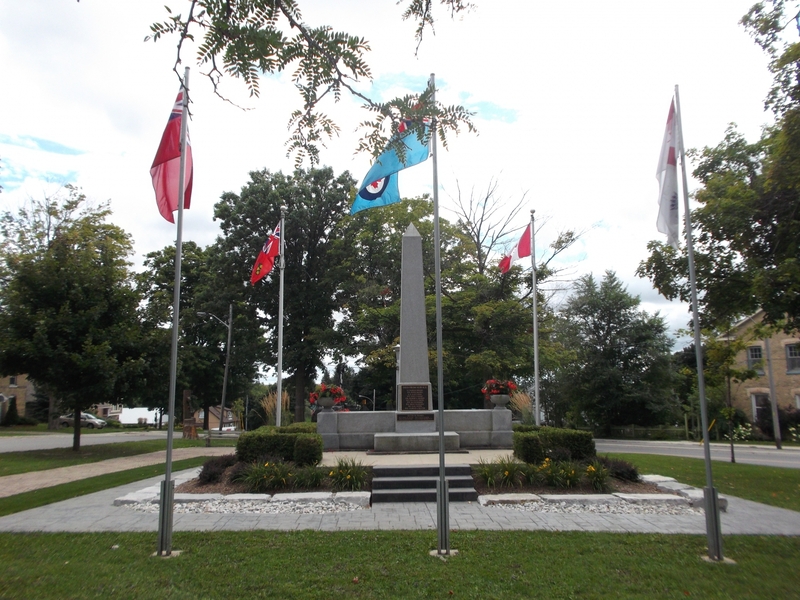 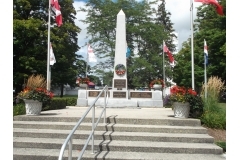 The cenotaph is situated in Veteran's Memorial Park at the southern end of Mount Forest. 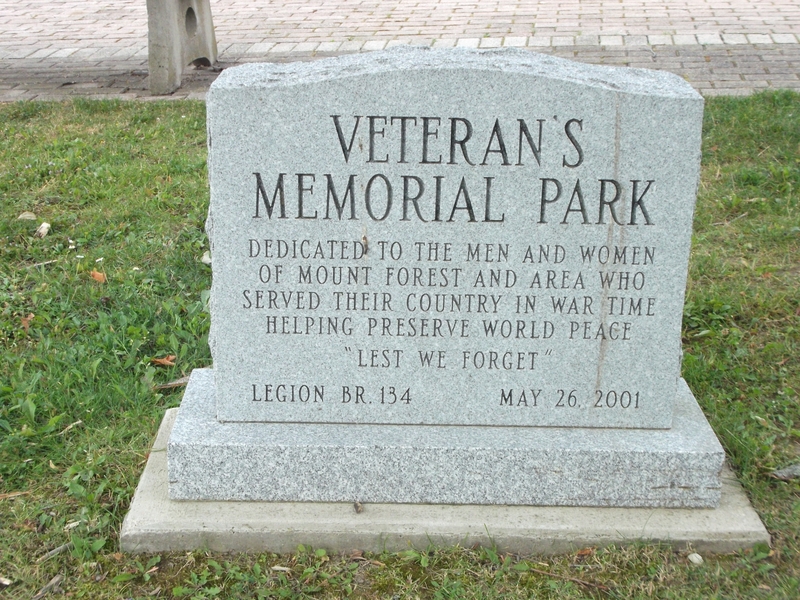 In this park, there is also Mount Forest's Historical Plaque; a tree sculpture depicting a soldier's boots, rifle and helmet; and the turret of a Howitzer tank.